Attractive perennial with a rosette of large rounded mid-green leaves. 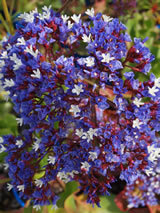 Tall spikes of purple-blue flowers through most of the year in a warm sunny site. Hardy to light frosts. Flowers are wonderful for picking. 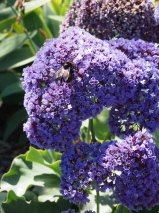 Good flowering plant for many sites in the garden.